So, it’s been just over a year now since we switched our cell phones from our pay-as-you-go service to Republic Wireless. Republic Wireless had asked us to try their service, and we agreed. I thought I’d share our experience today and tell you our likes/dislikes about the services they offer. We don’t do reviews often on The Frugal Farmer, but you can be sure that when you see a review on our site, it’ll be done with honesty and integrity. FYI, we do get an affiliate commission if you click on one of the highlighted Republic Wireless links within this post, or if you click on the Republic Wireless box on the right sidebar. We really appreciate your support of The Frugal Farmer in using these links to check out Republic. If you don’t know anything about the company, let me give you a bit of the scoop about what their plans are and what they cost. First, I’ll start by saying that Republic Wireless plans are all no contract plans. Yep. No contracts. Ever. Just use them, and if you ever find a reason to switch, just stop using them. Republic co-founder and CEO David Morken is a veteran and a fitness enthusiast who has completed the Hawaii Ironman Triathlon among other great fitness feats which he shares in this cool 7-minute video if you’re interested. David is also a firm believer in not letting work trump your life outside of work, which I love. Second, Republic has a variety of different plans available. Here’s the scoop on those plans. I haven’t worn an XXS size in anything since I was in my teens, but the Republic Wireless XXS plan fits our family perfectly and it’s the plan we use. With the XXS plan, you pay $10 a month for unlimited talk and text. You also can access data for free if you are in a Wifi area, and if you’re not, you can buy cell data as needed. The XS Plan costs $17.50 a month, includes unlimited talk and text, along with 0.5 GB of cell data. This plan is great if you want or need occasional data use but use it rarely and are around Wifi most of the time. We often talk about switching to this plan due to a huge benefit of Republic Wireless I’ll talk about later: the Republic Wireless Refund plan. Republic Wireless’ S Plan costs $25.00 a month and includes unlimited talk and text, along with 1.0 GB of cell data. This plan is great for low users as well. It gives you a little more data at the start of the month, but the plan is still super affordable. The M Plan through Republic costs $40.00 a month, includes unlimited talk and text, along with 2.0 GB of cell data. Republic Wireless’ M plan is great for moderate data users. With 2.0 GB of data, it should cover all data needs for those who are moderate partakers of data usage. The L Plan through Republic costs a mere $55.00 a month, includes unlimited talk and text, along with 3.0 GB of cell data. This is for your high data user. The great thing about the L plan is that it provides plenty of data, but you can also buy more data if 3.0 GB isn’t enough. Here’s how. Need more data? No problem! All Republic Wireless Plans include an app that allows you to purchase more cell data at any time. The company charges a mere $15.00 to purchase 1.0 GB of data if you need more. Simply use your app and load up on cell data when needed. When you’re in a Wifi area, you can use the wifi data for free. This is possibly one of my favorite parts of the Republic Wireless Program. If you have 2.0 GB of cell data available for use, and only use 1.0 GB of cell data during the month, Republic Wireless will issue you a refund for the unused portion!! Here’s a chart to show you how it works. Isn’t that awesome??? No more wasted money or paying for data you never use!!! With Republic Wireless you get refunded for unused data. Talk about a money-saving dream! If there’s one thing that bothers me and frugal people everywhere, it’s wasted money. Republic Wireless makes sure you never waste money on your cell phone bill with their refund system. Now that’s AWESOME! One of the other really great things about Republic Wireless is that if you’re not happy with their service, you can get a full refund (minus shipping costs for returning the phone) within 30 days of activation. Is that cool or what? So, basically, there’s no risk to you to try Republic, their products and their services. Wow! Like you, I never like to give my business to a company without making sure I know what I’m getting into. So I decided to include some FAQs in this review to answer some of the additional questions you might have about Republic Wireless. How do they keep prices so low? 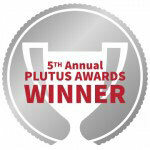 Unlike other cell phone companies, Republic Wireless does things differently. They’ve set up their system so that it taps into Wifi first, since Wifi is pretty much everywhere these days. Then it goes to cellular usage as a backup. This cuts down on the amount of cellular data usage accessed, which costs the company less. Republic Wireless then passes those savings onto you, the customer. Ting is another MVNO provider, like Republic Wireless (Here’s a review of Ting). What cellular network does Republic Wireless use? As with any cellular network, mountainous areas are a bit sparse in coverage, but the Sprint Network gets the job done well in general. How much does domestic roaming cost? International? Domestic roaming is free. Although we don’t offer cellular service internationally at this time, your Republic Wireless phone can place calls over WiFi from anywhere in the world to the U.S. You can also make and receive calls to Canadian telephone numbers without incurring international roaming or long distance charges. Are Republic phones just “WiFi” phones? What if there’s no WiFi available? Absolutely not. Our phones work on both WiFi and cellular, depending on the plan you choose. 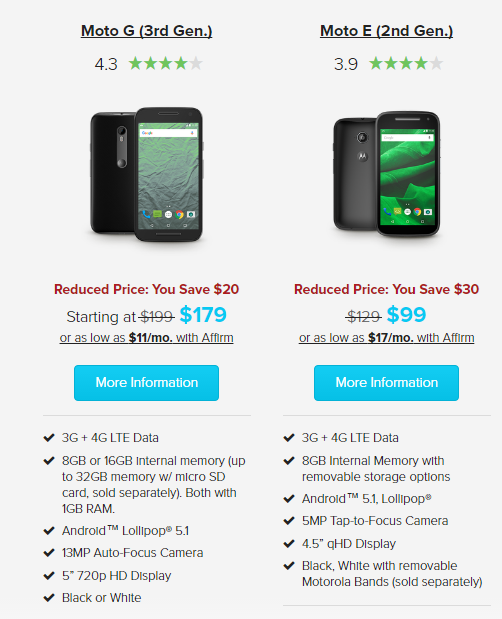 Republic Wireless offers a smartphone that is like any other in all the important ways. When you don’t have access to WiFi, everything still works great over the nationwide cellular network (unless you’ve selected the $5/month WiFi only plan). The difference between Republic’s smartphones and the ones you’d buy through another carrier is that our phones are optimized to use the WiFi all around you. For example, when you’re on WiFi, just dial, and your call is connected through the Internet – fast, clear, and low cost. There are no required app downloads or extra steps. Dial as you would any other call. There’s no app to open or second number to manage. You don’t have to click a special button or take any special action. Instead, once you’re setup for a WiFi network, your Republic smartphone connects and routes calls over WiFi automatically. Yes, in most cases, you can. We offer the ability to transfer numbers to and from our service. To find out if your specific number can be transferred over to us, try our Number Transfer Checker. The best part is that you don’t have to transfer right away. You can try out Republic, and transfer your number whenever you’re ready. How do I transfer my number to Republic? For more information on Republic Wireless FAQs, click here to go to the company’s FAQs page. As you can see, the Republic Wireless phones offer all that you’ll need in terms of features and accessories. We have the Moto E phones and absolutely love them. 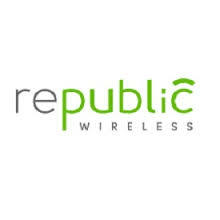 Having been using Republic Wireless for just over a year now, I can say that we’re thoroughly happy with the company. One of the things I really love about Republic is that they send me an email each month, giving me a break down of my “cellular carbon footprint”. The email lets me know how much data we’ve used in the previous month and how that number compares to the rest of the Republic Wireless community. It’s a great way to have a monthly picture of my data usage so that I can maximize their plans to my benefit. I will say that when we took our summer vacation to Seattle last year that coverage was sketchy as we drove through the mountains. There were a few areas when we were in the middle of mountain ranges where there was no coverage available. I’m pretty sure that’s par for the course with any network coverage company, though. Other than that, the phones have worked great and continue to perform well. No technical issues whatsoever. No service issues whatsoever. We’ve not once had to contact customer service for any reason. Adding additional data is a piece of cake and we’ve never not received our due refunds on unused data. Honestly, I don’t know a lot about other cellular phone plans, but when I hear friends talking about the astronomical amounts they pay monthly for their cell phone plans, I’m ever grateful for the low prices we pay with Republic Wireless. Republic is a great company to use – especially if you’ve got multiple cell phone users within a family. If all six of our family members had cell phones (just two of us do at this time) we’d pay roughly $75 a month for coverage for six phones (after you include taxes). What a savings!! I know people who pay $75 a month for just one phone! Even on Republic’s biggest plan we’d still only pay $300 a month or so for six phone users after you add in monthly tax charges. You just can beat Republic’s pricing system, or their data buyback system. Want to Check Out Republic Wireless for Yourself? If you’re interested in learning more about Republic Wireless, we’d be REALLY grateful if you’d click on one of our affiliate links to check them out. Simply click on one of the highlighted “Republic Wireless” phrases within this post, or click on the Republic Wireless box on the right sidebar, and you”ll help us support The Frugal Farmer as you save money on your cellular bill. We hope you give Republic Wireless a try, and we hope you enjoy it as much as we do. Here’s to frugal cellular use! I really like the fact that there are no contract plans through Republic Wireless. We don’t see prices like that up here in Canada! I don’t think we’re able to access their services here – but I’ll check. Ruth, I tried to find out and couldn’t find any specific info except for that calls to and from Canada are free. Try emailing customer service and see what they say. It’d be great if you could save money on your cell bill through Republic! I finally made the switch a few months ago and I am one happy customer. Republic Wireless works for me and what I love is that I have a plan that works for me. Yay!! So glad to hear you’re happy with them, Joyce. We are too! I would like to give Republic a try in the future as I think this is the future of cell phone plans. Even Verizon & At&T are pushing wifi-first with the new iPhones but still charging the big company prices. I checked out their coverage maps a few months ago and basically we would be roaming. If we lived two or three miles up the road it would be a different story. Plus it looks like we might have to get satellite internet for our new house (AT&T) won’t run a line 300 yards, so if that remains true, wifi will be rationed for the forseeable future. Yeah, I like them. I know you guys are out in the boonies a bit, and we are too, but no problems here so far with reception. So glad to hear you’re still enjoying them! Been a year and a half (maybe even two?) now for me and going strong 🙂 Though I did just shatter my screen the other day, d’oh. Even buying a samsung gen 4 instead of the newest gen 6 or 7 on amazon is still close to $300 or it was 2 years ago when I had to replace my phone. So, maybe it would pay out to try it and see. Thanks, Travis!! Yes, I’m thoroughly pleased with where they started and where they’re heading as well. More good things to come! Thanks for the thorough review. It’s great that there are so many alternative options to the big wireless carriers which charge an arm and a leg. Spread the word! There’s no need to pay for expensive cellphone service anymore when the alternatives are just as good. Exactly!!! We are thrilled with our low prices/good service! If you’re frugal, try the republic wireless and what I like about it is that it offers a wide range of plans to suit everyone’s needs. And, it’s definitely worth it to give it a try. We’ve only used Straight Talk and Tracfone, so we’ve never had contracts. People may laugh at pay as you go phones, but the coverage is amazing and we’ve never been hit with surprise bills or fees. Loved your review. I’ll keep Republic Wireless in mind should we decide to finally give something new a try. Yeah, we are thoroughly happy with them. Service has been above and beyond as well. I love Republic Wireless!! I’ve been with them since 2012. never go back! never lost service! So glad you’ve enjoyed it too, Amber. Thanks for sharing your experience – we appreciate it! I’m still holding onto my “Republic 1.0” plan of unlimited talk, unlimited text, and 5GB of data a month for $25 with my old Moto X. I’ve had a solid experience with Republic, with my only frustrations being spotty MMS in group chats/pic messaging and the dialer hanging up and dropping calls (since fixed with the Lollipop software update though!). Managed to get my parents on the ‘2.0’ plans you have reviewed and they’ve basically dropped their costs from $70 a month with Verizon to $35 a month with Republic with no real change in service. All terrific news, DH! Thanks so much for sharing your experience – we appreciate you stopping by!